Queen duvet cover (88" x 88") featuring the image "Face Up" by T Cook. Our soft microfiber duvet covers are hand sewn and include a hidden zipper for easy washing and assembly. Your selected image is printed on the top surface with a soft white surface underneath. All duvet covers are machine washable with cold water and a mild detergent. There are no comments for Face Up. Click here to post the first comment. 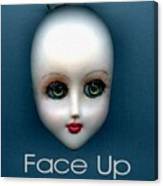 My art is based on a design for one of my web pages pertaining to ball jointed dolls (http://www.squidoo.com/FaceUp). This is a Dollfie head that has had an incomplete Face Up. The art is a combination of photography, scanned image, and digital photo manipulation. 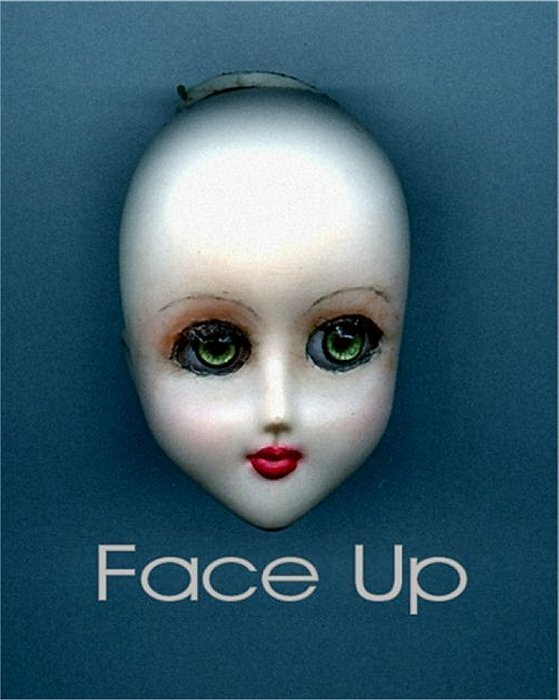 My art was not only based on the page I designed, but also because the term 'face up' has more than one meaning. We all 'face up' daily when we look at ourselves in the mirror.